Costs 2.9% + $0.30 per transaction. Pros: I have loved using Authorize.net. Often I have to go back thru our credit card records to check how much was charged or how much was refunded. It's great to be able to look up via credit card number or names. Customer service has always been excellent whenever I've needed to contact them. I also like that I'm able to run reports of all of our transactions when I'm trying to compartmentalized different amounts and categories. It works well with our registration system. Cons: I wish that we were able to issue refunds after the 3 month period. I know we can lose some of our security measures to allow our system to automatically refund but we don't want to do that. Instead we take the cc number and manually enter it into a different refund system for those return that are past 3 months. I think the security issue is a mandated issue and there is not much Authorize can do. I do wish the downloads went to a simpler to read excel format but I tend to take the CSV file and do what I need to do to make it work. Overall: Authorize.net has been super simple and straight forward to use. I've been able to cancel a charge that was made in error before it even hit a card. I get full details of who is purchasing and how much. I can look up transactions easily. It's been a great second backup system for us as far as credit card records. It's been very easy to implement on our website and we've been very happy. Pros: We have been using Authorize.net as our payment processor for a number of years for both credit cards and bank fund transfers. Their service has been extremely reliable, they have added services as technology continues to evolve. As a non profit we are processing donations and use it for processing ticketing for events that we host. Because we aren't really doing retail we strictly use a virtual terminal with computers or mobile devices so I can't comment on any point of sale machines. Recurring donations are easy to set up and have run without issues for us. Any time I have had contact with customer support both online and on the phone the have been helpful and able to resolve any problems or issues. Cons: I don't really have a least like about Authorize.net It has done what we have needed it to do. Pros: Authorize.net is our payment gateway, as we are a company that runs several credit card transactions daily. The fees are minimal, the customer service has always been great (even if, at times, the reasons I had to call we're not so great), and the website is about the simplest one I've ever used, considering all of the information it processes. 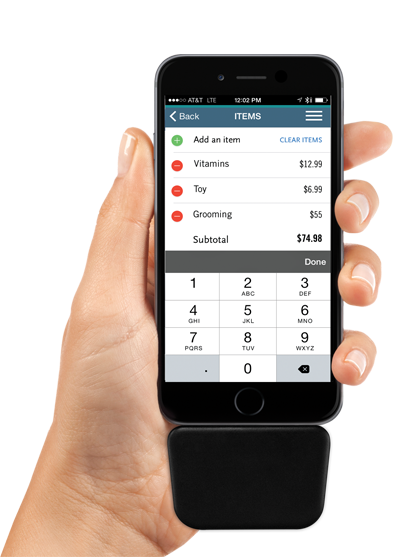 We don't use any POS devices, just the website, but that's still MORE than enough for us. Cons: I wish it was easier to edit ARB subscriptions; for example, if I want to simply change the date that a customer's auto-charge runs, I have to actually delete the whole thing, and create a new one to reflect the date change. That's pretty annoying, but for a website that hasn't really changed much in the 12 years since I first began using it, I can only expect so much at this point. Pros: Authorize integrated flawlessly with our CRM system. It was one of several options for donor management and processing that was compatable with our CRM. We researched each available system and Authorize was both suggested by a fellow non profit as well as seemed to meet our requirements. Cons: Transaction charges seem to be the biggest issue that we have. There are industry averages for processing various cards, and Authorize is on par with other systems. It is unfortunate that Authorize does not offer a non-profit processing rate or possibly a flat rate that is well below what would be offered to a for profit organization. Overall: Customer service and adaptability of the system with our CRM has been very positive for us. When we adopted our new CRM system along with the the hosted website managed by the same CRM system, we were not sure how everything would integrate, but our donation links and sponsorship links that take contributors directly to Authorize for processing have never let us down. Pros: The greatest thing about Authorize.net is that their merchant portal is so easy to navigate. If we need to void, issue refunds, or manually authorize a card-- it's so easy to do and find on the left-hand side of the website. If there is something we're not able to quickly do, their FAQ/help page/customer support is great. Receipts/confirmations are automatically sent to the internal contacts that we've chosen--there's even an option to send the receipts directly to the customer. This program is incorporated into our other main software (ShopVox) and works seamlessly. Cons: There isn't anything that I dislike about this software. Pros: This software makes it so easy to process payments. It was very easy for us to build the bridge between our main software and authorize.net to process all payments through them. The website requires no training and doesn't have a million options of choices to pick from like some do- everything is very self explanatory! Their customer service is great and gets back to you quickly. Cons: I don't have many complaints about Authorize.net except the reports. They are very confusing and it is hard to know which report you are supposed to be using and when. They don't provide a great description of each report. Pros: Authorize.net makes it super easy to take payments through our ticketing system. If we weren't able to link these programs getting payments would take a lot more effort, but this provides ease for the front and back end. Cons: The software uses another third party processor that adds additional fees, but overall doesn't harm the effectiveness of the program. Overall: Authorize.net helps us take and track payments. We have been using it for 8+ years with my company and haven't had many issues. We use it with several different POS systems and the support provided whenever there are issues is great. They have one of the most effective chat for help options I have ever used. Pros: Authorize.Net provides good, helpful API documentation. Its web-based virtual terminal is also easy to use. Cons: I would give their support a grade of B. Fortunately, it is rarely needed. A few years back, there were some rough patches where the service was down or unreliable for brief periods. We have not had reliability problems for the last few years. Overall: We've used Authorize.Net with our website shopping cart for over 10 years. Along with that, we've used the virtual terminal for manually keying phone / mail orders. It is easier to use than PayPal Manager. Pros: Authorize.net is extremely easy to use. I'll be honest - I probably don't use it to the full extent of the software. I generally do 3 things. 1. charge a credit card. 2. Look at our daily reports and 3. Use the transaction search. From time to time, I may look at unsettled transactions and change a setting but that is about it. You don't need to be tech savvy to understand the platform. It is easy, convenient and worry-free. Cons: Honestly, nothing. I've been using it for over 11 years with ease. Pros: Authorize.net is the standard in payment processing. For a complex and established ecommerce website, Authorize.net will offer the features needed and provides a trusted payment solution. Processing fees will be lower than competition like Stripe which larger volume businesses will benefit from. Pros: Authorize is really easy to use. Some payment processing platforms can be difficult and frustrating to use. When processing a payment using Authorize, you simply fill out the necessary information and you're done. If the transaction is declined, it will even tell you why, which is helpful when people want to know why their payment didn't go through. Cons: I like pretty much everything about the software... at least the functions that I use regularly and am familiar with. Pros: Authorize.net integrates well with our school website (managed by Finalsite). We are able to set up forms to collect credit card payments for school events. We also have the ability to collect credit card payments for our school store and sell tickets for Parent Organization events. The process to set up a form is easy to complete and Authorize.net offers flexibility with the design and options to make the form eye appealing. Credit card payments are processed securely. The reporting features offered by Authorize.net are optimal and information about cash receipts can be downloaded to simplify the reconciliation process on a daily basis. Pros: We use authorize.net from our desktop pcs and in the field for our technicians. The administrator features are really good. Being able to make reports and authorize devices in a breeze. And for simple card entry it is pretty straightforward. Cons: I wish there was a section that just was labeled "recent transactions" so you did not have to go through editing dates and menus. Also, it would be great to see emails of customers after your have sent the receipts. Pros: That it's super easy to use, and has been extremely reliable. When dealing with your customers money, thats of the upmost importance. Cons: We have lots of fraud transactions, but we can't prevent that without implementing settings that would block a lot of legitimate transactions. Wish we could figure out something in the middle. Overall: Easily complete refunds, voids, and view all current transactions for our business. Easy search function. I like using this application because of it's ease of use. Pros: The reporting is simple to use and doing voids or refunds is very straight forward. Documenting and printing receipts is also a great feature. Cons: Credit card processing security is very strict. You only can do refunds that are 120 or less days old. Sometimes we have a need to go out further to refund a customer. Overall: Ease of tracking credit card transactions that were made on-line from our website. It is very simple to do refunds as well. Pros: High visibility into transactional activity. Reports were thorough and I relied on them for my monthly finance reports. Cons: Not sure if this still applies, but since it's a payment processor, you still need a second system to house all the bank data (like a Heartland, etc). This was important when dealing with chargebacks. Would be nice to have it all one system. Overall: Overall, Auth was reliable and accurate. Pros: We used this to accept payments and integrated into a multi-store shopping cart site. Initial integration came from both Authorize and the shopping cart program. They knew the information regarding Authorize, so the integration went well. Cons: Pricey in the beginning. Take a look at the fee associated with everything before committing. What is the break even point to using this program. Fast & Easy Payment Gateway! Pros: Quick & easy Virtual Terminal for payment processing. Links up with virtually any website or API. Simple transaction search & detailed customizable reporting. Cons: Must pull monthly statements from a separate website. Overall: We have been using Authorize.net for online payment processing for over 3 years. Simple interface and convenient button for processing refunds. Customer service is helpful and easy to get ahold of. Simplified credit processing for in the field applications! Pros: This program is great for our service techs in the field. It does not require the use of a card reader, although it is certainly supported. Our tech's can quickly run cards through the app without a lot of screens and hassle. Cons: The program tends to have a lot of "timing out" issues and will appear logged in, but once you start processing the transaction it kicks you out. Pros: Authorize.net is compatible with all of the different cashiering software that we use. It is reliable and I don't know of any outages or problems processing cards or transactions. It is easy to create an account and get started. Cons: It can be difficult to understand how to setup and use their API if you are doing your own programing and their admin website is not that easy to use when changing settings on your account. They are often changing their API for increased security but that comes with the inconvenience of reprogramming your API interface. Overall: We use Authorize.net as payment processor in 3 different applications that we use to accept credit card payments. Their API is compatible with the different software and is reliable without downtime. Pros: Ease of use and the capabilities it has. Nice easy sign on, very ease and useful search options. Cons: I feel like the only issue I have is sometimes trying to look up a transaction by the cardholders last name causes confusion. Especially if they use a Jr. or a Sr. Other than that, no problems. Overall: Very good experience and a very good product. Very rarely any issues whatsoever. Pros: I have used Authorize.Net for about 2 years now and I have rarely ran into any problems. I love the clean format and it's easy to get the job done. I would recommend this product. Cons: The interface of Authorize.Net hasn't changed in the 2 years I've used the software. So I'd say my only request to improve the software is add some cool new features every once in a while. Used them for years. Fantastic! Pros: It is rock solid and very easy to implement. Their support team is fantastic and available 24 hours a day. Used them for many years for every e-commerce website we own, which is 4. Cons: Honestly, do not know any. It is another great software company with a product that works as promised over and over again. Overall: Allows us to have solid ecommerce websites. Never fails us. Pros: Integrations for customization needed for our services. Cons: Archive dates of transactions going back later and import of data from other software. Overall: Light University Online has been using Authorize for the last 5 years and we have been very happy with their program and focused on any customization needed for our company. The integrations that we need, reports, and user-friendly services for sales are perfect for our daily income. Cons: The reporting of void transactions or credit card chargebacks isn't easy. Searching for a transaction is not easy. The reporting functions do not fully work for me. Overall: Great processing of credit cards and checks. Pros: Authorize.net is fairly simple to set up, customize, and connect with other software. Giving customers the option to pay invoices online saves me a ton of time. Cons: Of course, there are fees to use any payment processor like this. I feel like the fees can be a little high, but it is what it is. Pros: This software is always up, ready and waiting. We have never had an issue with down time, and the response is almost immediate. Cons: We had an issue where the bank and Authorize.net had an issue, and we were the middle man. I dont feel like they proactively tried to help and fix the issue our bank was having. Overall: The days of waiting for a modem to connect and bring back the results in 30 seconds are gone. If you have an internet connection, you can authorize credit cards. Having Authorize.net in our business is a like having your own bank ! Pros: You can accept any card payments which gives ease of payment and receipt, processing sales is never easier! Cons: As a business you wanna cut down costs and though their rates are fair, youre expecting more options to cut down costs. Overall: Authorize.net is reallyeasy to useand makes payment processing a breeze! Pros: Works with most merchant processors. Offers both credit cards processing, as well as ACH (eCheck) payments processing. Variety of reports available. Cons: Sometimes Authorize.net is down, this is rare, but when it happens you can't process your payments. They usually try to fix it fast. Authorize.net keeps our customer's information secure! Pros: We use Authorize.net for the credit card processing needs of our small non-profit. Easy for us to invoice customers without needing to secure their credit card information in-house. Cons: The invoicing feature has a 'due date' field that auto-populates to the date the invoice is sent unless manually adjusted. It then sends a 'past due' message if it's not paid that day. It would be nice to have that automatically date for a month out. Pros: We simply love the ease of use that Authorize.net provides as well as the consistent support and reliability. It has hardly ever given us any issue. Cons: The reporting tools are sometimes difficulty or cumbersome to use but they have evolved over the years. Pros: Authorize.net is very user friendly and easy to use. The search functionality is superb, and allows use to locate transactions with ease. Cons: I have had no problems using this software at all. There is nothing I can say that I have had problems with. We are trying to switch to a new platform, but Authorize.Net is making the transition difficult. Pros: The settlement reports are quite clear and user friendly. The processing is smooth, and the system rarely has issues. We also like the email receipts that can be automatically emailed. Cons: The few times I have contacted the support team they have not been helpful, nor friendly. The options for customizing receipts and the overall look is lacking. The credit card fees are also a bit high in comparison to similar software. Authorize.net is one of the easier merchants I've been able to integrate into my eCommerce Business! Pros: The fact that it is compatible with WordPress makes my life a lot easier. The per transaction fees are very competitive as well. Cons: Monthly fees are always a con. It would be great to have fees strictly calculated based upon volume of sales. Pros: This program is so simple and easy for my technicians to use in the field to get direct payment - and allows us to have minimal accounts receivables! Cons: Doesn't work when there is not cell phone coverage. We also have to change the passwords quarterly - and the system does not give us any warning on this. Overall: East of use! Technicians can run credit cards in the field directly from their cell phones! Payments are process quickly!! Pros: We are not a huge card processor so this software fits us well and is compatible with our internal processing software. Cons: somewhat convoluted when trying to process credit cards. Not very self-explanatory. Pros: This software is so easy to use. I love that it can store credit cards or I can store them on my own depending on what you want. I love the reports. Cons: I do not like that when you need to refund somebody you have to enter a transaction number it is a pain to go back and see the number. Overall: Authorize.Net is the best credit card software I have found. Pros: The very best thing I like about utilizing Authorized.net is the capability to develop repeating billings for the deals. makes it more distinct as well as the users like this function as they do not have to provide their card information whenever when the renewal occurs. Cons: We can create the deal reports just for approximately 3 months, if we require the deal information for the last 1 year then we have to create the information every quarter and after that combine it to one file. Pros: Easy to use and navigate on their webpage. Overall: My overall experience with Auth.net has been very positive. I would recommend this software to anyone starting a business for an excellent payment gateway. Cons: Not much to say about this. Software is pretty good. I use Authorize.Net in my daily job to process credit card transactions. Pros: I like that it is so easy to edit an existing subscription. It is also easy to search any recent transactions. Cons: I don't like that the "back" button doesn't really work here. Like if I don't search the right thing at first I have to go back to the search screen instead of the results screen. If that makes sense. Excellent, inexpensive, service provider with free fraud protection tools . Great customer support. Pros: I like that it provides fraud protection tools that gives me peace of mind while handling my information. I also like the professional payment seal. I also like that it has been in business over 20 years. It makes me feel more secure that an established company will be handling my payments. They accept all forms of payments which make it easier for my customers and helps increase my sales. Cons: I know they are inexpensive but when business is slow, I would prefer that I wouldn't be charged the same fees. Cons: One con of Authorize.net is that there is a fee with each donation or gift, which can add up quickly. It also some of it's features and functionality seem more basic and look more outdated and less stylistic. Pros: It is a well established secure platform for processing payments. Cons: Their interface is quire outdated. Also it is very difficult to browse through numerous sections and find what you are looking for. Pros: Easy to access reports. Easy to charge a card online. Clean website appearance. I use the transaction reports on a near daily basis, it also shows declined transactions which is nice. Cons: I wish that it was easier to find chargebacks and other charges. I would also be nice if the batch reports showed totals so that I could more easily match to my bookkeeping software. Cons: Compared with other payment authorization software it didn't have the most up to date features. Pros: I loved that it had recurring billing capabilities and that when a card declined, it would give a reason why. Cons: There was nothing I didn't like about this software. Overall: I have used other processors and think this one is top notch. There are work arounds we have had to do with other processors to get a processor for our online cart as well as keyed in entries and that will do recurring billing. Authorize.net does it all with one processor. Pros: I use this software minimally but what I manage is charging payments and running reports. It's very easy to find past charges and they make it easy to keep track but providing ID numbers on every transaction. Cons: I don't use all features on this product but I have not had any problems with the area I manage. Payments and Reporting. Pros: I like that you can run searches of different transactions and in various ways, make looking at inquiries easy and efficient.